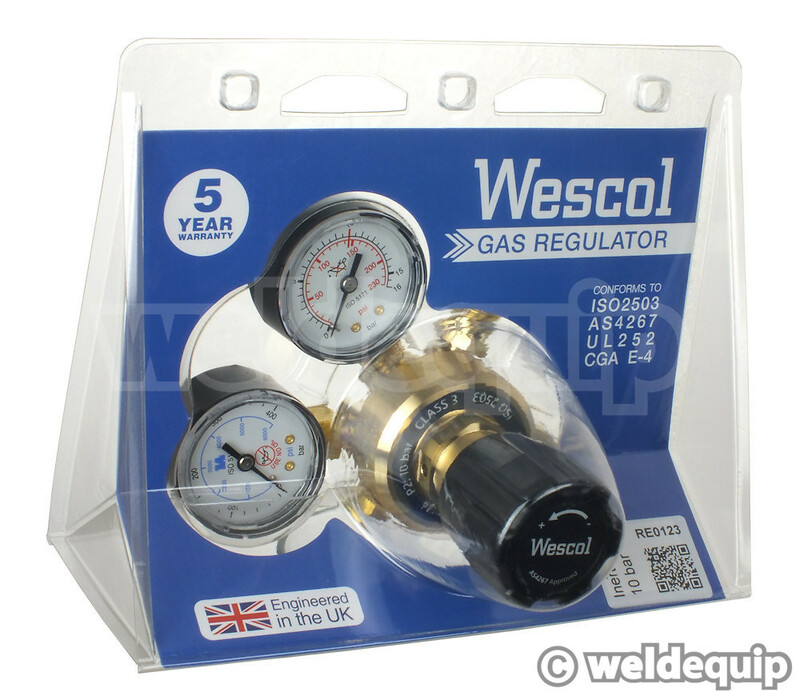 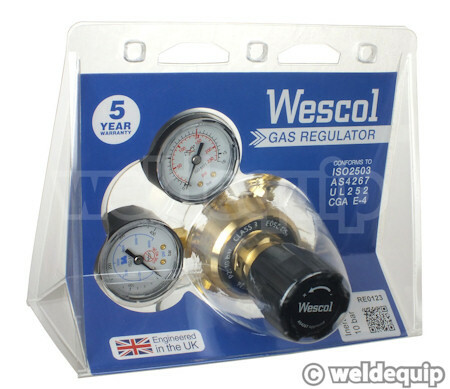 Single Stage 2 gauge Nitrogen gas regulator suitable for purging & pressure testing up to 10 Bar maximum. 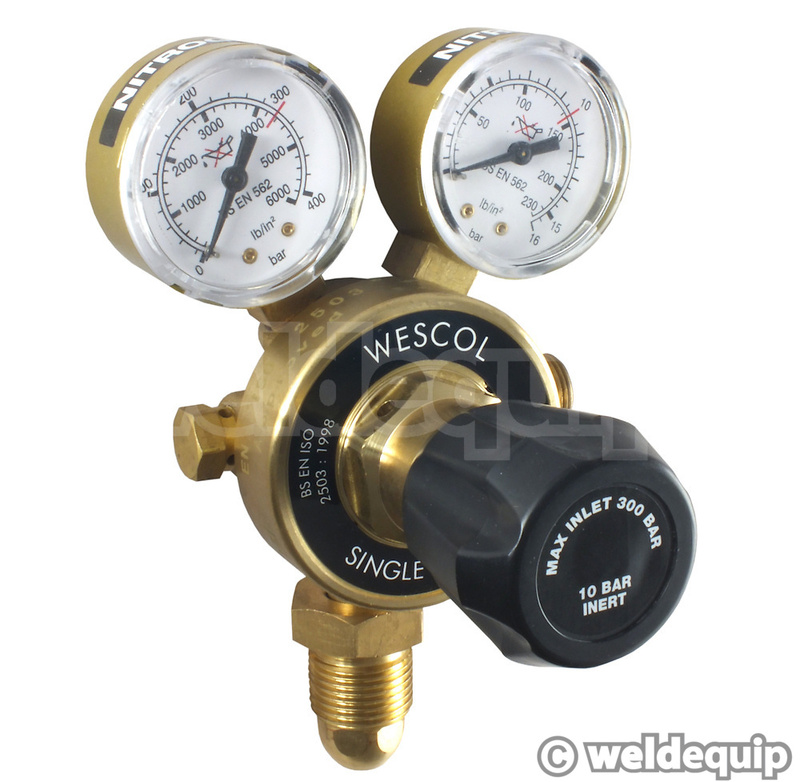 Twin pressure gauges showing cylinder contents and output pressure, calibrated in Psi & Bar. High Pressure Nitrogen Regulator for applications above 10 Bar output pressure.